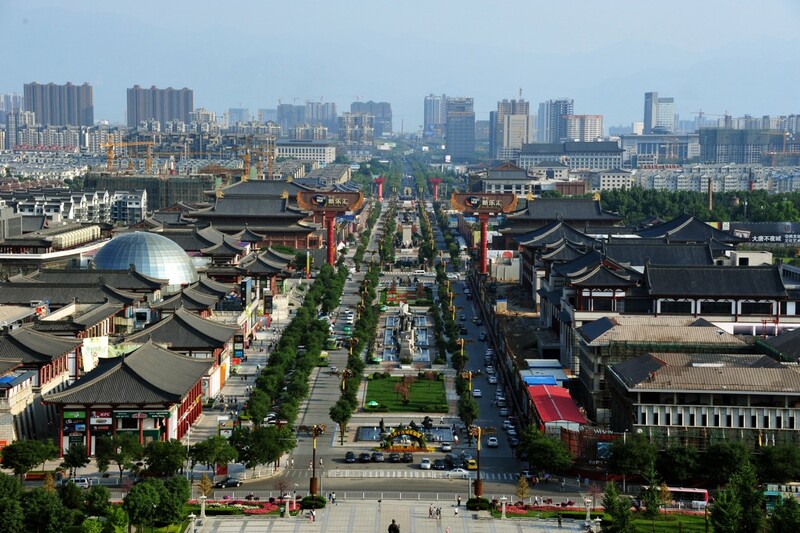 Recognised by many as the birthplace of Chinese civilization, Xi’an is one of China’s most historical and interesting cities popular among domestic and international tourists alike. Owing to its role as capital city of 13 different dynasties, Xi’an is said to tell the story of Chinese history, reminders of which can be found around the city. Aside from being home to one of China’s top tourist attractions, the Terracotta Army, the city boasts numerous other sights, delicious local cuisine and a buzzing city centre. Choose to teach in Xi’an, and you’ll join a friendly team of foreigners and locals working for a longstanding company that has been in business for several years. Our Xi’an placements are with a private school, meaning that teachers will usually work over weekends and receive two days off during the week. Hours tend to be between 15:00 – 21:00 hours on these days, and classes are formed of up to 15 students of varying ages, but similar abilities. Though you can specify a preferred age group, teachers in Xi’an will be required to teach a range of ages, giving you well-rounded experience. You will be expected to follow a structured curriculum, designed by the school, but you will have plenty of opportunity to use your imagination and creativity to make things memorable and fun. Ongoing training and support is provided, and those who perform well will get a chance to progress to other roles in the business. Our Xi’an placement offers a net salary of around 9,000 RMB per month, medical insurance, flight reimbursement, and teaching modules to help you progress. Salary level may differ depending on your experience. Our partner school in Xi’an offers all teachers free accommodation within a shared apartment as part of the teaching contract. Apartments are comfortable and equipped with all essential amenities and a western toilet. Should you wish to find your own accommodation in Xi’an, your school will help you find somewhere suitable, and they will offer a monthly accommodation allowance to put towards your rent. Rental prices of apartments in Xi’an range between 2,000 – 4,000 RMB per month. 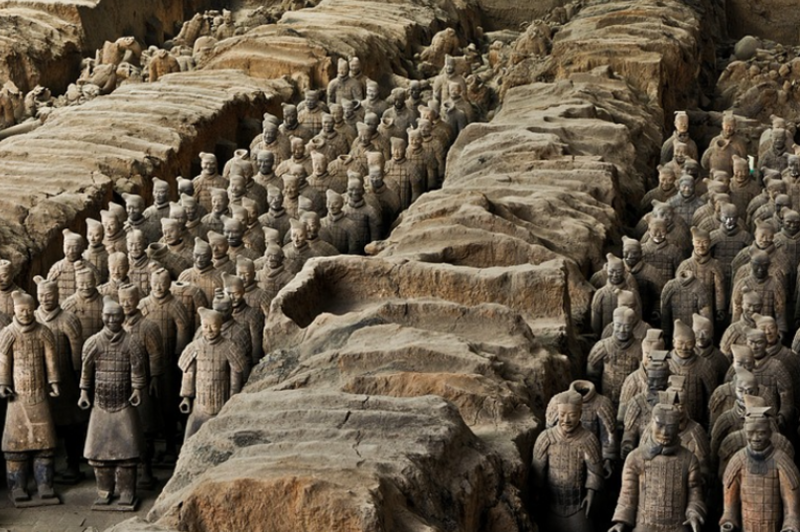 The Terracotta Warriors: Probably Xi’an’s best known attraction, the Terracotta Warriors are a must-see attractions located around 50km from the city centre. The intricately designed Warriors come in different shapes and sizes and have unique facial expressions, depending on their roles in the army. The City Wall: This is China’s oldest and most well-preserved city wall and is one of the largest ancient military defence systems in the world. 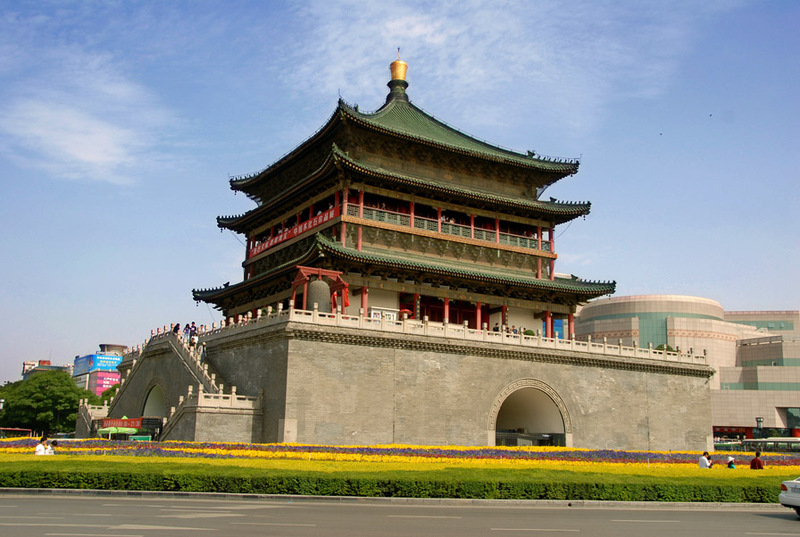 It was built during the Ming Dynasty in order to protect Xi’an. Covering a total distance of 13.7 km, it’s possible to walk or cycle around for great views of the wall and the city. 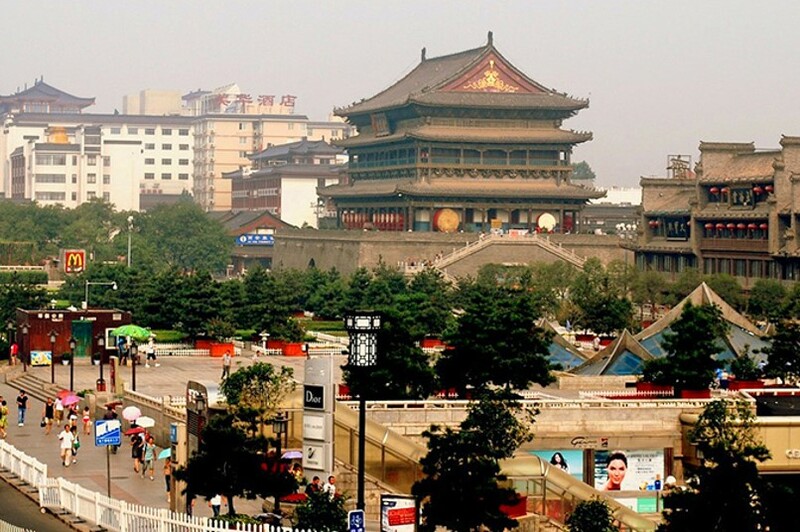 The Muslim Quarter: Xi’an is home to a large Muslim Chinese population, which influences locals foods and traditions. The Muslim Quarter is a lively area that showcases the culture and allows visitors to try delicious Muslim Chinese cuisine. The Bell Tower: Built in 1384, to allow for early detection of approaching attackers, the Bell Tower marks the geographical centre of the ancient capital and is one of the city’s most iconic landmarks. Visitors can climb the Bell Tower for fantastic views of the city. Big Wild Goose Pagoda: This is a well-preserved ancient holy place for Buddhists, that is today a very peaceful area that tourists and locals visit to enjoy some quiet relaxation. 羊(yáng)肉(ròu)泡(pào)馍(mó): This lamb noodle soup is in a delicious broth, filled with local flatbread, which diners crumble and add themselves. 肉(ròu)夹(jiá)馍(mó): Commonly translated as ‘Chinese hamburger’, roujiamo is a bread bun filled with shredded stewed beef or pork. BiangBiang Noodles: These handmade noodles are flat, but thick in width and are often served with lots of hot peppers and chili oil. The name comes from the sound made when the noodles are slapped against a table to stretch them. 甑(zèng)糕(gāo): One of Xi’an’s most popular sweet treats, this is a steamed rice and jujube cake that can be seen served on sticks at street stalls all over the city. Xi’an is a buzzing city with lots to do both during the day and at night. One of the best things about the city is how it has developed but also maintained its cultural heritage and historical relics and this becomes very apparent at night. The Bell and Drum Tower should not be missed at come sundown, when they light up to create a stunning myriad of colour. The nearby Muslim Quarter comes alive at night, when street food stalls attract huge queues and serve delicious local dishes. Head to the Big Wild Goose Pagoda to see Asia’s biggest water fountain, or the Tang Dynasty Palace for an evening of cultural entertainment. If you’re looking for a more modern evening out, Xi’an won’t disappoint; there are numerous KTV’s around the city, as well as bars and clubs popular among both locals and foreigners. Interested in teaching English in Xi’an? 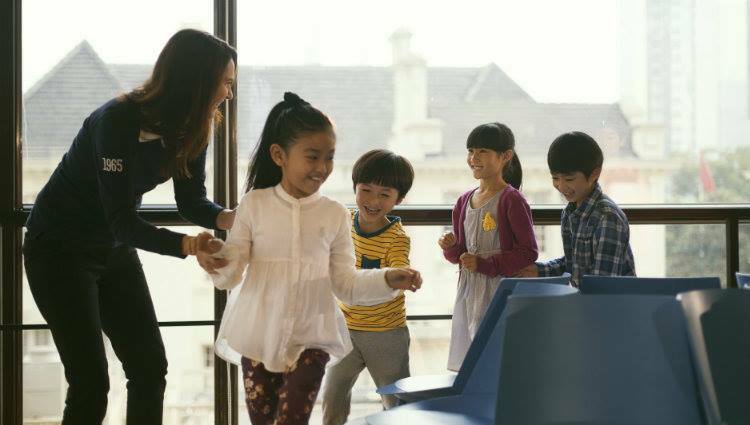 Find out more about our Private School Teaching Programme, or apply now to start your teaching adventure in one of China’s most ancient cities!